Commonly found in open meadows and marshes in eastern North America, the Joe-pye weed plant attracts butterflies with its large flower heads. While many people enjoy growing this attractive looking weed plant, some gardeners would prefer to remove Joe-pye weed. In these cases, it helps to know more about controlling Joe-pye weeds in the landscape. 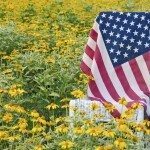 There are three species of Joe-pye weed as listed by the United States Department of Agriculture including, eastern Joe-pye weed, spotted Joe-pye weed and sweet-scented Joe-pye weed. 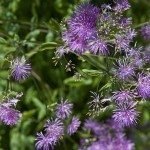 At maturity, these plants can reach 3 to 12 feet tall and bear purple to pink flowers. Joe-pye weed is America’s tallest perennial herb and was named after an Indian called Joe-pye who used the plant to cure fevers. Plants have a tough underground rhizomatous root system. Joe-pye weeds flower from August until frost in a spectacular display that draws butterflies, hummingbirds and bees from afar. When combined with other tall bloomers, Joe-pye weed is striking. Joe-pye weed also makes a beautiful cut flower for an indoor display as well as an excellent screening plant or specimen when used in bunches. Grow Joe-pye weed in an area that receives full sun or part shade and has moist soil. Despite its beauty, however, some people wish to remove Joe-pye weed from their landscape. Because flowers produce a plethora of seeds, this plant spreads easily, so getting rid of Joe-pye weed flowers often helps with control. While it is not labeled as invasive, the best way to remove Joe-pye weed is to dig up the entire Joe-pye weed plant, including the underground rhizome system. Whether you are getting rid of Joe-pye weed flowers altogether or just want to control re-seeding, be sure to do your cutting or digging before the flower goes to seed and has a chance to spread. 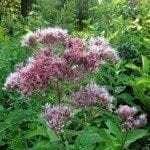 Read more articles about Joe Pye Weed.